Gosh, thank you so much for the support after last week’s emotional blog post. Thankfully I am now 100% healthy – the flu couldn’t keep me down for long! And I have taken a page from T Swift’s book and did a little “shake it off” dance. It’s crazy though. The video is at nearly 5 million and counting….yowza. If only those views were dolla dolla bills, yallllll. FIRST: I got an exciting letter that BeautyBeyondBones has been recognized as the #3 Eating Disorder Recovery Website on the Worldwide Web! It was recognized by Feedspot! I am so incredibly honored, and I wanted to just take a second to thank you. Thank you for your readership and support, and for buying my book, Bloom, and passing it along to loved ones and friends. The glowing feedback I’ve received about the book absolutely makes my heart soar. You, reading this, are the reason I do this blog, so thank you from the bottom of my heart. You may recall that I have a trip to India coming up this week. One of my guy friends is getting married over there this coming weekend, and I’ve had my flight and hotel booked for months, my clothes all set, and a game plan for eating/drinking that may or may not include baby food. So just this week – while I was sick – I get a call from the girl I’m traveling with. We’ll call her Tiffani. She’s a good friend from California, and we coordinated our flights. She’s connecting in NYC, where I’ll hop on her flight, and away we’ll go to the land of Bollywood and tikka masala. But as any millennial knows…any time you get a phone call rather than a text message, the news is not good. Well, it turns out that her visa was denied. One of her immediate family members is from Pakistan, and therefore, they denied her visa. Apparently the India/Pakistan political relationship is not. good. But anyways: she can no longer go. What a bummer! At least several of my friends are still able to go. Disappointed, I shrug it off and concede to just meeting everyone else over there solo. Later that day, I call my parents to share the news about my friend’s visa status, and let’s just say, I was blindsided by the phone call. My dad informed me that there was absolutely no way he’s allowing me to travel to India by myself. If Tiffani’s not going, neither am I. “But I’m getting picked up at the airport by my friends!” No. “But I’ll never be by myself after I get off the plane!” No. OK. That’s it, then. That’s the verdict. I’m not going to India. Yes, I am beyond disappointed. Yes, I am upset, but not at my dad. My dad had never been super on board with me going in the first place. He was worried, of course about human trafficking, and my safety. But more than anything, he was worried about me getting sick from the food/water, and with my Ulcerative Colitis – ending up in the Indian hospital system. Legitimate fears. And frankly, I’m blessed to have a father who loves me enough to worry about me and act to protect me. I’ve done a lot of reflecting, in my respite with the flu. And I had a couple friends be like, — Just go anyways! You’re an adult and the ticket is already paid for. There’s nothing he can do – you’re in NYC, he’s in Ohio. And while, yes, I am an adult – he’s my father. And that means something. Because no matter how old I am, I will always respect my father. My father – the man who, during my anorexia, researched the best weight gaining drinks money could buy and had them shipped in all the way from Scandinavia. The man who, after I was publicly disgraced as Sorority president and stripped down to my underwear in front of the chapter, whisked me away in his car to remind me that I am loved and worth so much more than what any of those dimwits at the greek house say. The man, who, ate my vegan food for an entire year when I was on bedrest with my Ulcerative Colitis, in solidarity with me. The man who has given his life for his family, and provided a safe, happy, healthy and full life for me, every. single. day. I will respect him. I will respect his wishes. I will respect his decision. Because at the end of the day, that is the right thing to do: Honor your father and mother. And who knows, maybe this is all playing out how it’s supposed to. Maybe – heaven forbid – something tragic would have happened while I was over there? Maybe this is God’s way of protecting me from something – an illness, an accident, who knows. Or maybe, I’m supposed to be in the States during that period? Maybe I book the role of a lifetime? Maybe I stumble upon an awesome opportunity? Or maybe…I meet my future husband? Who knows. But, although deeply disappointed, I choose to trust and honor my fathers…both earthy and Heavenly. SO if you need me, I will not be going to India, and instead, stalking the heck out of my friends’ trip on Instagram instead. so, fly to visit Tiffany, at the moment your friend is getting married raise a glass of ________________ and toast, and pray for the newly married couple. Because Grace. You’re welcome Caralyn. <3 Enjoy. Wise decision by a wise daughter. This from a father who has four daughters. I understand your father’s concerns and admire you for honoring him. You can always risk going or you can also risk staying. It’s good you have people who watch over you. You are an adult which means you ultimately decide. Never be bummed out about it all, in the end, it could be like you stated, could have been avoiding something. Always good to still have that sense of respect to parents. There was a Seinfeld episode about going to a friend’s wedding in India. Wish I could remember the episode name. “He was worried, of course about human trafficking,…” – sorry to see biased views coming up again in your post. I think it is your loss. By not going, you will be judging again by your uninformed views. FYI -> The number of Foreign Tourist Arrivals (FTA) in India on August 2017 were 7.24 lakh ( 1lakh = 100,000. ). The percentage share of Foreign Tourist Arrivals (FTAs) in India during August 2017 among the top 15 source countries was highest from Bangladesh (21.26%) followed by USA (11.60%), UK (9.46%), Sri Lanka (6.41%), Malaysia (3.71%), Japan (2.74%), Canada (2.57%), France (2.46%), Germany (2.39%), Australia (2.37%), Nepal (2.11%), Singapore (1.96%), China (1.94%), Oman (1.76%) and UAE (1.57%). That’s nearly 85000 US tourists travelling to India in one month. thank you for sharing that with me! how interesting! Cara, nothing to apologize for in regards to your writing about human trafficking. Here is a quote: ….Overall victim identification and protection remained inadequate and inconsistent and the government sometimes penalized victims through arrests for crimes committed as a result of being subjected to human trafficking…. Your fathers concern has validity. India has its extremists just as every country does, whether muslim or hindu’s. You can find stories galore over the net of hindu purists burning churches and persecuting Christians. The only question that would come to my mind would be something like… ” Do you not trust my ability to make decisions about my own safety?”…. Its a me thing I guess, but I think that would be my only rebuttal a fathers opinion about travelling. Congrats on your #3 spot, keep up the good work & God bless. Congratulations, Pastor! Well deserved and obviously you are touching and blessing many lives as you share your walk of faith! Being a dad and grandpa, I was very touched by your writing here! Your decision and his, I’m sure was all God-guided through prayer and you both listened! Amen! Oh, file this writing away under ” my Father’s Day sermon ” so when you begin to preach and teach at your first church, this is a beautiful and powerful message for your sermon! I am so proud of you! I sort of understand your situation, my son and I planned a hike along the Nogales Trail from Arizona across the border to Mexico. We had everything in place, including passports, reservations made to camp on both sides. While driving to the Arizona campground we were passed by two border patrol cars with lights and sirens blaring. At the campground we were told everything was closed because of a trafficking incident. No refunds from either side. Bummer. I see your father’s concerns and it is probably good you are listening to him. As for the unexpected “curve ball” — could be interesting. . .
Oh! This is so difficult. I am also a grown woman that still obeys her parents. I was thinking about it earlier today, actually. Like, what would they do? Spank me?! lol …but I agree that our parents are wise, and we should consider their concerns. I am excited to see what the Lord does while you are in the USA! Wow I have missed a lot. Got some catching up to do on your blogs. So glad you listened to your father (him and I are probably close to the same age). Take care of yourself. I love that you included honoring your father. Be blessed and enjoy your staying in America. Congrats on the #3 nomination! Thanks Tom, I appreciate your kind words. Yeah it was awful. I was the President and we were doing the initiation rituatal, and I was wearing an initiation robe with just those things underneath. I flubbed up a few of the words in the hour long ceremony (that I had to memorize on finals week) — and they proceeded to strip me of my title and president’s robe in front of everyone. it was the most mortifying episode of my life. Congratulations on making #3 in the eating disorder recovery category–and making the right choice following your disappointment. Your father sounds awesome, and I know your Heavenly Father is definitely awesome! Proud of you. Love reading your blog, too. You are a lovely young lady and it is such a joy and blessing to hear/see someone like you who love and honor your parents who TRULY love and honor you. You are blessed. I know your probably pretty disappointed in not getting to go. But I’m also glad you listened to your dad and didn’t go by yourself. It’s probably for the best and things will work out okay in the end. I would do the same… Yes，I`m an adult. But I respect my dad and trust his advice! ❤ And wait，how did I not realize that you had a book out?!? I need to read this ASAP!!! I was invited to Carneval in Rio and thought the same thing. About myself. Not that its dangerous all the time. It just didn’t feel right. Besides I like the favelas when there’s less drinking. I’m sorry that happened to you at your Greek house. They are rough sometimes. I have a programmer friend that married a sorority girl. We will nerd hard over something awesome I did while she, quietly tolerates it. She says though, he wishes she still acted like a sorority girl. Being wild, maybe? I think sometimes it’s hard for dads to, accept. Especially. When they’ve almost lost their daughter. Think it’s a survival thing. My daughter will tell me about something bothering her. I’ll switch gears, think if this is the thing I missed. So. Fear, either specific or general is what compels many dads to make safe choices. What you have here at BBB is like Jim Carrey’s old movie, “The Truman Show.” We know how much you’ve grown through the years. Your aspirations. It’s all very positive or, at least searching for common ground. My babies. Will always be my babies. When I look at them. I also have to see how capable they have become as young women. They remind me. They say. Dad. I’m not little, let me go. I laugh. I will never let them go. Moms get credit for love but dad’s show you what love will go through. Sometimes even dads have to, let go. Pretty serious drama. Why did you like it? I used to watch Luc Besson’s “Leon.” Over and over. I’m certain it was how I made it through the specialized parts of the military and didn’t break. These movies we find at the age of our own personal development kind of, shape us. Somehow. Glad to see that you are well again. Sorry that you cannot go to India, and you are right to obey your father. India is not a safe country to travel alone. In the meantime, glad to see you well. You are very graciously welcome oh wonderful lady. Hugs and love back to you. First, huge congratulations on your #3 ranking! The best thing about that is the affirmation that you are helping a LOT of people!! I am very glad to hear that you’ve recovered! Respecting parents; you’ve reminded me of an incident that happened decades ago when I managed to steer teenager back to the straight and narrow. I checked my files, and it doesn’t look like I’ve ever written about it. So on my Wednesday night post I shall tell the tale, with thanks to you for reminding me of something that happened almost 30 years ago! THAT will be my comment for your article this evening! You have two wonderful Fathers! And your earthly Dad has clearly earned your honour. Maybe he’s worrying too much, but he so obviously cares for you – it’s too rare and wonderful! God bless you both! Good for you! There is so much to like in this post about honoring our parents… the commandment doesn’t say obey, it says honor, which is much more from the heart. Refreshing to see someone thinking this way as an adult, especially in our disposable society that thinks that anyone over 40 or 50 is ‘out of it’. Such an inspiring story, so glad your blog and book are reaching so many people and inspiring others who struggle with eating disorders. Many many congrats on that. Bummer that India is cancelled but I am a firm believer of everything happens for a reason, so something better will come from this! Sweetie, I am confused. I am not getting notifications of your posts when you put them up? Any suggestions? Okay. That was the problem. Got it fixed. Thanks! And now, this made me miss my dad so bad. Hmm. It would seem this blog has an adult writing it. 🙂 Sorry about the curveball, tho. Congratulations on your expanding footprint. May God use you. Hey, I really admire your respect for your father. Thanks for sharing that! And you’re right- you absolutely can trust your heavenly Father in this as well (Proverbs 3:5-6). I’m in a huge, unexpected, very unpleasant development at a critical decision making turn in my own life, and am so thankful for Godly advisors and mentors I have around me, who have prayed and given good counsel every step of the way. I’m so conscious of God’s presence in the midst of this terrible situation although the evidence of the eyes is quite different. What makes me so secure is that everything I’m doing and saying is in front of Godly people and so God has put me on solid ground to stand on. The way you’ve taken your decision, to me, is the same. There is no loss, only gain, as you continue to submit to God’s plan and guidance through Godly people in your life, while making freewill choices in the right way. Your stand for your relationship with your parents, will certainly be blessed in abundance, and your love and gratefulness to your dad is inspiring and an example. I’m so blessed to hear this, and love whenever you write about your dad. It continues to inspire me to be the same for my own dear daughter. Much love in Christ to your parents, especially to your dad, and blessings over the season you’re in. We dads are very important people, and our children are the most important people this side of heaven to us, Loved this post! And bless you for being such a wise and loving daughter. I think you made the right desicion. 🙂 Parents are usually always right about these things!! Congrats on your high ranking Caralyn!!! I do give a warning though that sometimes it can take awhile to see why things happened the way that they did. God does work things out for the best of those who follow Him, but sometimes it can see what that “best” is. In the meantime, if you’re in NYC on Wednesday, maybe you can find a good response to your “Where are all the young people?” question from your blog post a few months ago (if you haven’t yet). There’s a Young Adults’ Mass at St. Patrick’s Cathedral that evening at 7:30. That was a great reaction. As my mom would say, “It was not meant to be!” Meaning not for now. Another time, maybe, you’ll see India under the best of circumstances. Bravo! I applaud you! Sometimes we have to take the road less traveled by just because it’s what’s right for us and how the Lord is leading. I love how you wrote about your dad. It definitely has me missing mine as he’s in Minnesota and I’m in Florida. Love the post! You never cease to amaze me. 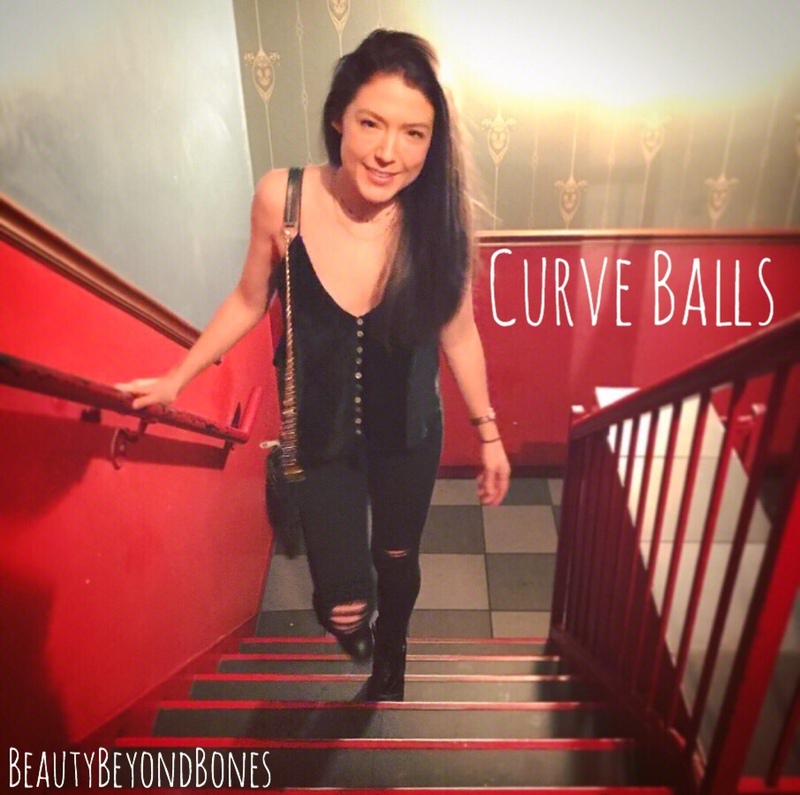 The curve ball(s) certainly would put a damper on your spirits as they would on anyones. As I have many friends in both India and Pakistan, it is a shame that the political climate between the two countries could cause this to happen. Regarding your father, let me say this. Considering that you are a couple years younger than my own daughter, I would guess that your father is about my age. To think that you still have that kind of respect for him and will stay home simply because he said so is very admirable. As you said, he is your father, no matter how old you are. I suppose some of that will change once you get married and your husband will be the one charged with looking after and protecting you, but until such time, you are still daddy’s little girl. He can be proud of that and he obviously loves you very much. I am pleased to see that and pleased to see that he means so much to you. Glad you’re feeling better! Nice to read how you’ve chosen to honor your father and mother. Blessings! While India is not super unsafe for foreigners, specially ladies, there are problems at times. It is better to have a companion and notnbe too adventurous. Listen to your dad. Sometimes men can be intuitive too. Congratulations on getting a great rating for your blog. I like your positive attitude towards something this bad. But as an Indian I’ll like to assure you that if you do come to India, Nothing wrong will happen. Don’t get me wrong, I admire your father’s concern, it’s safe to say that this it is one thing that transcends cultures. The reason why I am writing this is to make people aware that it’s a misconception about India that it’s not safe. Every place has some horrible instances, but that doesn’t mean it’s altogether unsafe. I hope you can come to India soon though. Would love to meet you. What a blessing to have such a loving and devoted father in your life. I haven’t seen my father in 8 years or so and rarely hear from him. I am so glad I have a Heavenly Father to count on and you count your blessings to have two fathers who love you dearly. Wow, that’s a tough decision. I can somewhat relate – a couple of friends were planning a trip to Mexico and my parents wouldn’t let me go (not because it was Mexico, but because they didn’t trust the people I was going with). But honestly, in retrospect, I’m glad I didn’t go. At the end of the day, our parents have lived so much longer than us, and they are always looking out for our best interests. Good move! Your dad has a lot of wisdom and I’m glad you called him. It’s a good reminder that if something is unsettling in your spirit, slow down, take a step back and listen to what God has to say about it, even if it’s not exactly what we want to hear! I’ve been there quite a few times myself. While saying no can be a bummer, and I’m sorry you’re passing up on this opportunity, you really made the right choice and it shows a lot of wisdom on your part. I really admire how gracefully and maturely (is that a word? haha) you are responding to it! Anyway, have a good night and I hope you get to do something as fun instead. So hard it has sounded, the no of your father – as you have written yourself: he loves you very much and therefore is also very much worried to see you go to India alone. I am a man and travelled many many times to India, so I also can speak from own experiences: your father is right to say: with a girlfrind or another one who accompanies you it would be fine, however alone as a woman is not so much advisable. Just in the recent years we have heard many awful stories that Indian women were raped by some gangs. When leaving the airport door in Delhi there are really many many people waiting so that it is not so easy first to be fetched by your friends and there are also several gates where to leave the airport. The only thing I can recommand: do your trip to India another time with some friends together. This surely will be fine. Thank you for your kind response 🙂 Wishing you all what is good for your soul. Now that was a curve ball but cudos for handling it with dignity and grace! As a daughter of a great heavenly Father and a very flawed earthly one, thank you! It is so refreshing to see someone trust, respect, and honor both fathers. There is no place in scripture that says honor your parents if they are deserving. It says that this is the first command given with a promise–LONG LIFE! Exodus 20:12 Here’s to long life. May yours be truly blessed. Congratulations on your number 3, and I hope your proud of yourself. Recovery from annorexia is incredibly difficult. Your father sounds amazing. He must be so proud of you, as you are of him. You’re welcome. I know you have plenty of street smarts..but I am glad you decided to put this trip on pause.. Your dad sounds like an amazing guy and your perspective on this whole situation is too. All the best with the trip to India, don’t expect to find Tikka Massala though, It’s origin is with British Asian chefs in Glasgow. Amazing post! Loved those kind words you posted about your Dad. I can only imagine what he felt like when he read this post. Im happy you had someone that was there for you, who is there for you. I always enjoy reading your posts. I don’t always comment, but enjoy perusing them. Wishing you all the best my friend! You never cease to amaze me with you grace, your attitude, and your faith. As my mother reminds us all the time, where God closes a door, he opens a window. Hi there Caralyn! Sorry you’re disappointed at not going to India. But I love love LOVE the honor you give to your father. It may be me (being a Dad myself) but it seems that honor like that is rare these days. Particularly across generations. So spot on! Spiritually I think honor is cyclical or reciprocal, what goes around comes around. So get ready for blessings! Take care and try to find a way to celebrate that wedding even though you won’t be there in person. Because your blessing on the marriage matters more than you think. Here’s a gem from newish Bollywood you may have not yet encountered. This post just brought me to tears! First, because I never had, and desperately wished for, the kind of father you have. Secondly, because your obedience, as an adult, to your earthly Father is such a rare thing that it’s almost strange in a beautifully humbling way. Your humble and obedient response to your earthly Father who cares for you is deeply moving, but also so inspiring as the heart we are to have towards our Heavenly Father!! WOW, Young Lady, your wisdom is amazing and a cause for personal reflection in my own life! I hope that your friends recognize how blessed you are and take note. As well, I know our Heavenly Father sees your selfless act of obedience, and I know he rewards us for obedience because — it is our reasonable service! I pray that the Heavenly Father will give you some of those things you desire in your heart — a good husband, an outstanding career (modeling or acting) — And, I Thank You because YOU HAVE TRULY BLESSED MY SPIRIT TODAY WITH THIS POST Beautiful Young Lady!! That was a tough decision but you made the right choice. It’s better to miss your trip than agonize over disobeying your Dad throughout the trip. When push comes to shove, he still sees you as his little girl, loves you unconditionally and will do whatever he can to protect you. Enjoy him. I miss my Dad. It really sounds like your father is a great picture of the loving compassion that God the Father has for his children. You are blessed! As I read this post I was challenged by how dedicated he was to you in all your incredibly rough times. My daughter is a year and a half and I get shivers thinking about her college years. My prayer is that I can be as firm, faithful, and compassionate has your father is to my daughter during those upcoming years. WOW! You are an inspiration girl! Congratulations on the website being at the top! Well deserved and this post is one of the reasons. It is great that you and your dad have that kind of relationship and that you respect him that way. I would agree that it is God protecting you from something. You may never know this side of heaven. Glad you are feeling better. Seriously, I get pumped up every time I read one of your posts. Keep speaking truth even if it’s unpopular. You are blessed to have a dad who cares, and he is blessed that you understand/respect that. I enjoyed this post. I am sorry you are not getting to go to India. Getting to experience other cultures is a really great thing. I have to tell you that I applaud your listening to your Dad and honoring his request that you stay home. It is totally Biblical. Matthew 21:28-32 and John 14:15. I recently found out that the folks Jesus was talking to in Matthew 21 held the belief that politeness to ones father outweighed obedience in importance. After understanding that, it seems that Jesus story in Matthew 21 probably set that belief on its ear. After all, who wants lip service….I am sure your Dad really appreciates your demonstration of love and respect for him in this issue of your trip. Again, I applaud you for your decision, and I am sure that God is applauding you too! Hellooooll MIRACLE YELLO! Sorry about the trip. Though it may make you feel a lil mellow, know that you’ll always be your friend’s greatest Yello, even while you stalk the event on Instagram. 😂. Seriously though…wassup girl…😱. Been a while since I got my regular BBB dose. But I’m fine now. Congrats on the video and #3. You rock. This is going to sound silly, but I breathed a sigh of relief when I read that you weren’t going. I don’t know why, but when I first read about your plans, it left me anxious for you. Yep, it’s silly since I don’t know you, and I love traveling, so it’s not that…heck, I don’t know what it was! I’m sorry you’ll miss your friend’s wedding, but for whatever reason it’s a good thing you’re staying here. Yes, your Dad is a tremendous, incredible blessing but as a Dad I’m blessed by your amazing, humble attitude. I’ve said it before – but you rock! And I have say, regarding the food he’s probably right. Your relationship with your dad sounds wonderful. I am glad you’re over your flu and I hope you can find something fun to do in place of India!! My dad is incredible too and is currently supporting me as I have just started treatment for anorexia. We are evidently both very lucky! Hey Caralyn, for ages, I have considered you the most awesome, loving, loveable daughter possible, then we see a few more things you say, or you do something, so the ladder has to have a few more rungs added to it, so you can climb higher. Paying attention to your Dad, even though you are a mature adult, shows incredible respect and honour. And, even from the little you have shared about your Dad, in all he did, he has earned, and is worthy of your respect and honour. Even though the Bible does tell us to honour our Mothers and Fathers, it is easy to see that it is even beyond that for you. You do that automatically from love and learning. Then the flip side of all that, is in all your parents did, they taught you in word and example of lifestyle, how to respect and honour others. That is obvious in your writing, and responses to your followers, even those who have a negative slant in their comments. Again, I will have to commend Mom and Dad on the great young lady they have for a daughter. And I have to commend you, Caralyn, for the love, honour, and respect you show them always. Are you sure this is the right decision? The official teaching of the Catholic Church is that once you are an adult, “honor your mother and father” means consider their advice and then make your own decision. You can find that right in the Catechism. Hello! First of all congratulations for your blog! Secondly!!!!!!!!!!!!!! What a hard decision you had to make about your trip. I love travelling but I also love my dad and I think I would struggle…I cannot say what I would decide because you have to be in that situation to choose. Anyway… There is still time until your flight… Maybe you could talk to your father and find alternative ways to be safe and make feel your father safe too. If you are completely sure about your decision…well… Luckily life is full of opportunities! Keep doing you! All the best! Love the way you put it all on the line! congrats on the award! Well, I’m glad you’re recovered from that bout with the flu. Much congratulations on you rocking the WWW! That’s awesome news! And while I was disappointed right along with everyone reading this that you wouldn’t be going to India, I cried whilst reading about you and your father. So touching, so beautiful, so you. 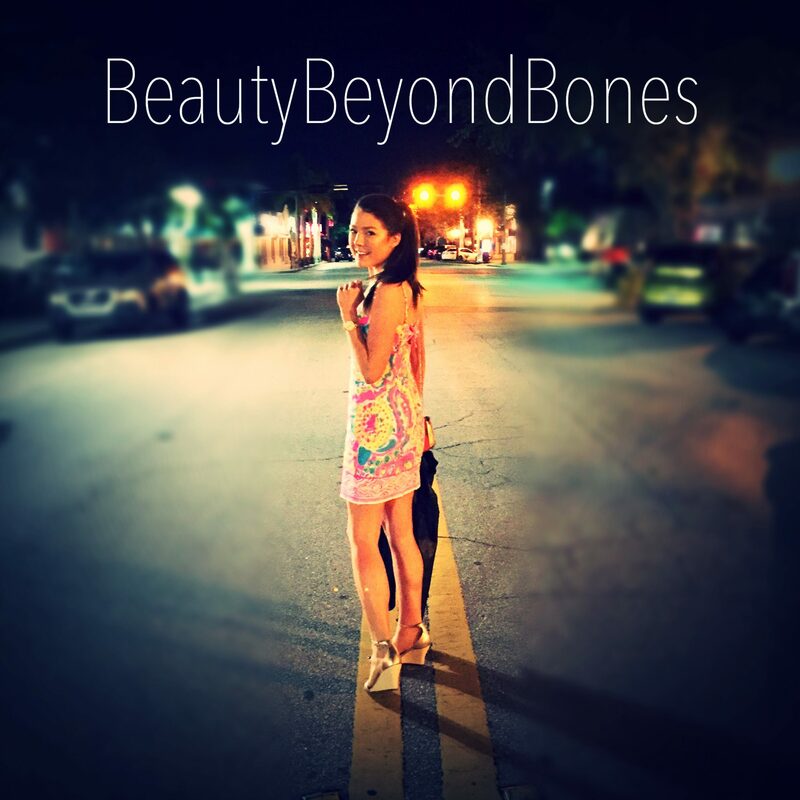 Ms BeautybeyonBones, I have such a small following, I must have said done something, I don’t see your name as a follower of my blog. I hope my intentions of the movie, self was not taken incorrectly. I apologize upfront for anything I may have done/said. Anyway, thank you for all your support, nice comments and I look forward to reading your blogs as they come out. God Bless. I guess I am still in the dark, I don’t seem to have you on my list of followers. I hope we can still converse. I thought I responded to you – but have you quit following me? I don’t see you on my list – not easy to miss, mine is short. Also – since we are talking, LOL, did you happen to get a chance to view the short movie “Full Disclosure”, I like it’s premise. God Bless Hugs and Love to you too. I have not had a chance to check it out yet, but I will this weekend! Hmm I thought I was!! I thought you were too, but suddenly I noticed you had not “liked” any posts in a bit, so I was curious if you were. Looks like somehow we got disconnected. Hope you do watch the movie, it may help your way of dating, it’s 17 mins long btw. God Bless, hugs and loves to you. Gotta say, I’m gutted for ya! As long as you’re happy with the decision and think it was the right one. It does seem like a risky place for a lady to be travelling alone, however 21st century we want to be about this! God bless you for honouring your father both in word and deed. You have a very wise father. Congratulations on being # 3 on your blog topic! Blessings! U go girl! Way to appreciate your dad and think beyond your own desires. That is not easy… Especially as a young adult, when the world is finally “yours.” And you could legally go on our own accord. But when you follow your Heavenly Father’s will… Like you said. ” honor your father and mother”… then “all hings work together for good for those who love the Lord.” (Romans 8:28). And the true purpose or reason for you not going to India will someday be made known to you. Way to walk the talk! Great choice! It’s encouraging to read about people making good deicisons like this and being proud of it! Way to be brave and own it girl! Wow! Fathers! This post reminded me of an episode I had with my own. In my case, it was a big no to U. S from India and I must admit I was pretty mad at him for snatching the chance from me. But after reading this, I have realised how lucky we are to have parents who care for us irrespective of our ages. No matter how old we grow, we will always be children to them. As a side note, I want to add that India is an amazing place to visit and if you’re a foodie (like me) then it’s like stepping into the gates of heaven. I don’t know which place you were supposed to visit but I hope that one day you would get to experience the culture and cuisine. I love your positive outlook on this even though you are disappointed. I had something similar happen to me and I was very disappointed, BUT I ended up meeting my husband that weekend. Totally worth the initial disappointment! WOW. I am baffled. God will definitely honor you for this. Something BIG is coming. Stay Strong. Kirstenstokes.com check it out please and thank you. Follow me I’ll follow you! I’m really bummed that you’re not going to India as I love that country and I love hearing of people’s account of their visit (I hope to go one day), but you’re right to listen to your father. And you have such a wonderful dad! I am certain that God has something much better in store for you. Who knows? Maybe you’ll be going on another exciting trip soon, just not exotic India. Take care. You know, you ARE an adult, which means that technically, he’s “not the boss of you.” And that’s the way so much of the world would view it. However, I admire the fact that you respect him enough to value his opinion. It’s not obeying in the sense that you have no choice—it’s obeying because you know he loves you enough to speak up when he knows he could risk your anger or alienation. When we speak the truth in love, we always take a risk. I’m sure if he were a total authoritarian father, you would not have the relationship with him that you do, and he would not have done all he did during your anorexia to support you, either. He sounds like a champ! oh man, I was hoping to hear about your experience but hopefully, in the future, you get to experience India and it’s culture. I am glad you are honoring your father mad respect in that way, not going to lie I really struggle with this area and just not easy for me not even one bit, but God is still working on me in this area. I really hope you go one day! cause it’s amazing. In the meantime, though I would love to see a recipe on an Indian dish that fits your dietary needs, would definitely be interested!! Wise young lady to honor your Father. He sounds like an awesome Dad. You are blessed to have him and he blessed to have you! God bless you both.